Writing about a remarkable musician, who has recently ended his life path, is a difficult and important task. It always seems to our near-sighted spiritual vision that we could still hear this or that in the performances by the inspired artist, share with him our gratefulness and admiration: it seems that he could be healed of a basically untreatable sickness that has struck him, and would regain his creative strength expressed physically, since his internal strength has never left him. Yet, all these fantasies are a naive childish babble in the face of Eternity, in which we are left to contemplate his luminous image. And — as it happens almost always — death opens the «vertical» of the person who left us, his wholesome sound, since everything earthly is completed, and no longer unfolds in the diverse intersection of the dynamics of life in time. And now, apart from adding up his truly enormous legacy that is left to us in recordings of his interpretative art — not only in recordings, but also in the live memories of his still alive listeners — together with the grief of unrecoverable loss of an artist and a man (and a friend and teacher for many) — we are left with some of his, almost last, words, that enlighten and spiritualize retrospectively his past life by a magnificent, soft, sufferer’s light. I have not unfortunately heard these words personally from him, but their truthfulness is absolutely beyond doubt, they made rounds about the whole country, and, probably, other countries as well, since the name of Sofronitsky was and remains known all over the world. These words related to a simple, even the simplest matter — his treatment, pain-killing injections; he told his loved ones: «Do not spare me, do not lie to me, I should suffer it all». The memory of Sofronitsky, his art, his suffering image, his restlessness during his life, his humble death belong to all of us forever. As is well known, Vladimir Vladimirovich, Vovochka, and I studied at the Leningrad (then Petrograd) conservatory at the same time, but with different professors in different classes. Shortly after my teacher Vladimir Drozdov left in 1918 for the USA (I went home then to spend some time with my dear mother, who passed away shortly afterward, and then worked as a music teacher — all that happened in my hometown Nevel), I became one of the pupils of Leonid Nikolayev, and Vovochka Sofronitsky was already shining in his class. We studied together with him for one year, but rarely met during lessons: I was preoccupied with my studies at the University at that time, and also in the conducting class of Emilii Cooper, where the main «food» for his class were performances at the Mariinsky theater that Cooper directed («The tale of Kitezh», «Lohengrin»; and «Die Walkire» was also prepared). Unfortunately Vovochka and I almost never saw each other in Nikolayev’s class. Even more so because I was graduating with the works that I learned previously with Drozdov, the most prominent one being Liszt h-moll sonata. It was also present in Vovochka’s final program. So both of us played it — one after the other, since our graduation performances were scheduled for two days in a row (there was no pompous word «diploma» then). The Small Hall of the Petrograd Conservatory was full on both days (it was either May or June — I don’t remember! — of 1921) [Yudina and Sofronitsky gave their performances on the same day, May 13], and, as it happens now at competitions, the piano fans were divided sharply into two parties: admirers of Yudina and Sofronitsky. The Liszt sonata got an especially heated discussion. Huge articles about the two of us, our impending bright future, and the differences between us, were published in newspapers; I remember well Nikolai Strelnikov, who was the author of one of them, an educated and witty journalist, who later wrote some operettas, but also befriended Alban Berg who visited the Soviet Union at the time of the performances of his remarkable opera «Wozzeck». However, neither the variety of critics’ opinion, nor the differences in our tastes and biases, caused any fall out between me and Sofronitsky. Neither did they draw us closer — each one went on his own path. We talked sometimes during classes and rehearsals before our graduation from the Conservatory (I did have to tear myself away from the medieval Latin texts and attend the required classes ...). Vovochka even then was a remarkable interpreter of Scriabin, while I was studying Bach cantatas (and even learned some of them with Oda Slobodskaya, a marvelous dramatic soprano at the Mariinsky Theater), and started playing the whole «Well-Tempered Clavier»; I expressed to my inspired friend my disappointment in his lack of love for Mozart — that is how we showed each other peacefully our own ways, our treasures, and our idols! ... I should mention here that in 1920 Vladimir Sofronitsky married Elena (or Lialia), the elder daughter of Alexander Scriabin. All of us at the Conservatory observed with sympathy and happiness their poetic mutual love. They were incredibly charming! Their youth, and unusual, inspired and transparent beauty of both Vovochka an Lialia made them everybody’s favorites, not to mention the talent of the groom, and the name of bride’s father. They would regularly come to a performance at the Small Hall of the Conservatory, and sit in one of the last rows (then, in the midst of the Civil War, most concerts were not full or sold out) for un-interrupted whispered dialogue, or a dialogue of gazes. Attention of the others did not disturb them: both they and this attention were pure and touching. Lialia was, of course, also a good pianist. This period was clouded only by the illness of Lialia’s and Masha’s (Maria Scriabina-Tatarinova, a wonderful woman, who worked later at Scriabin’s museum) mother, Vera Isakovich, a wonderful well-known pianist, professor at the Leningrad Conservatory; she died soon afterward, one of the first flu victims. That is «when» we graduated; it is inappropriate to discuss «how». But both of us remained in Art. We almost haven’t seen each other in the twenties: each own had his own path, «days and labour», sorrow and joy. We met «artistically» much later, in 1930 or 1931. I often traveled then to Tiflis and Yerevan to play, and the artistic atmosphere there was right for me. I suggested to Vladimir Vladimirovich that we prepare a joint program for two pianos, and so we did: two fugues from the «The Art of Fugue», Mozart D Minor Sonata — and I forgot what else!!! It is unbelievable but I forgot!! [Their performances took place on May 24, 1931: two fugues from «The Art of Fugue», Mozart D Minor Sonata, Schumann B-minor variations, Taneyev Prelude and Fugue in g sharp minor, Busoni Concert duet in Mozart style, and Debussy «Blanc et Noir».] 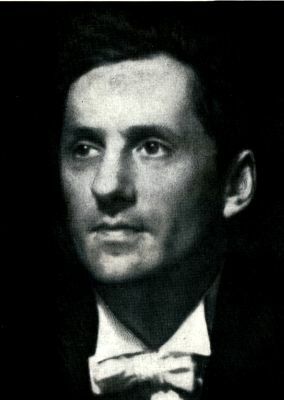 However, without any doubt, all Sofronitsky’s programs have been preserved by his devoted friends, while I never collected mine; I was fortunate, with God’s help, to have many wonderful friends, but my disregard to all outside attributes of the artistic career, was, probably even stronger than that of Vladimir Vladimirovich, or his friends were more persisting in this respect, and one may recover our programs! I remember that during our rehearsals Sofronitsky, who didn’t know these works before, was saying: «How marvelous, how beautiful, as in Heaven!» I met the wonderful family of artists Wiesel, who worshiped Sofronitsky; the father was a well-known professor at the Arts Academy in Petrograd, and of the daughters, Ada, was an architect, and a devoted, wise, lifelong friend of the artist. We played this program in Tiflis, and then in Leningrad, at the so called Chamber Music Society. Unfortunately we rarely met in the thirties, but I remember vividly three encounters. The first: once late at night I was visited by Meyerholds, Vsevolod Emilyevich and Zinaida Nikolayevna, with Vladimir Vladimirovich Sofronitsky. Vladimir Vladimirovich was extremely excited and immediately tore off the handle of the shaky door of my dwelling at the Palace Square, the dwelling was not heated, I had nothing for tea (this was a hard time for me) but we were all infinitely happy to see each other, each one talked about himself, his plays, performances, hopes and disasters. The ice on Neva shone outside, enormous winter star constellations looked on us kindly from above, they left in the middle of the night, after staying for many hours, we were all happy: they were famous, and I was in one of my stints in disfavor with the powers. Another one — joyful, in the favorite Sofronitsky childish way ... We played «petits jeux» at the Wiesels, Sofronitsky never pretended, he was often a big child, had fun, played many games, as a child, having a short break from the spiritual stress, from the eternal slavery of the requirements of a strict Muse. Then — in the beautifully decorated — with ancient china, and other rarities — house of our friend and colleague, Maria Yushkova-Zalesskaya (who graduated with Nikolayev a year after us), and her husband, a man of rare kindness and education, Boris Zalessky, a well known petrographer. It was always a pleasure to visit them, though they lived on the outskirts of the city, near the Polytechnic Institute. The late Maria Konstantinovna was an excellent musician and a beauty, who presented herself in an Egyptian style. I was getting into Khlebnikov then! I brought with me the third volume of his poetry that evening, and intended to read «Zangezi» and other poems to everybody, but Vladimir Vladimirovich had different ideas: he took the book out of my hands, opened it in a random place and after seeing something totally incomprehensible, tore the book apart and flung it across the carefully decorated room nearly breaking one of the precious tea sets. This was typical Sofronitsky: spontaneous, sometimes impetuous, joyful, wistful. Let us leave aside these amusing details. They only provide a partial whimsical frame to the austere image of a marvelous artist in a grotesque or bizarre style. I think that Sofronitsky is the closest to Chopin: forceful, bright, truthful, soulful, elegiac but also elegant — these are qualities common to all Art. However, both in Chopin and Sofronitsky they are stressed to an extreme, with their life on the line, seriously, in tears flowing on their face, hands, life or ascetically swallowed — there is no room for the tears, everything is going to disappear now — faster, faster!! — or everything is shining in the purity of the spiritual look facing the sunny Source of Truth. Sofronitsky was exactly a pure romantic; he is all yearning to the infinite and totally indifferent to the sea of life and is completely helpless in such. Several more words on Sofronitsky’s appearance in Moscow during World War II. The start of 1942 was marked by arrival of Vladimir Vladimirovich Sofronitsky, who was saved and brought by a plane from Leningrad. Our joy can not be described. Those of us in Moscow did not know whether to count him among the living or the dead, his first concerts here were treated as a miracle, a resurrection from the dead. These concerts were guarded by mounted police so that the people striving to get inside would not bring the buildings down.